Mayoor School provides several avenues for self-expression and writing for the school publications is one that is greatly valued by students. The school publications offer a comprehensive account of events and activities that adorn life at Mayoor. Furthermore, the uniqueness of these publications is accentuated by featured literary works of students that represent the quality and creativity embedded in the spirit of Mayoor. 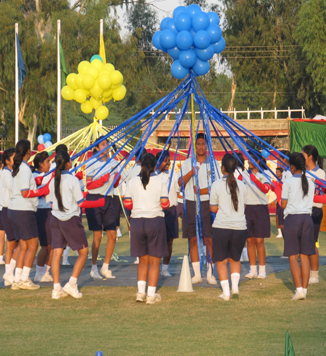 The school offers two publications- Mayoor Pankh, a bi-monthly newsletter and ‘The Mayoorite’- the annual school album. Mayoor Pankh- Succinct in words yet elaborative in spirit. Mayoor Pankh is the bi-monthly school publication that chronicles the regular activities of the school and records the achievements of Mayoorites in various areas of academic and co-curricular activities. It is also a platform for creative writing and includes in its pages- articles, stories, poems, reviews and other literary and journalistic efforts of the students. Overall, this publication seeks to be concise and succinct in words yet elaborative and independent in spirit. ‘The Mayoorite’ is the school’s year-book and records the activities of the whole year. For the readers this publication offers a colourful and lively glimpse of life at Mayoor during the year and makes them feel a part of it. The ‘Mayoorite’ showcases the mettle of the students. The responsibility of maintaining excellent quality of these publications lies with the editorial board that comprises staff and student editors. Techinnova is an informative piece on the world of Information and Communication Technology. The publication offers insights to the readers on ICT terminology, concepts, fact and figures, contemporary issues specific to the digital world and the future of ICT. The Techinnova team comprises tech-savvy Mayoorites from senior grades. During the annual prize-giving function, the school publishes the following brochures and leaflets. The Annual Principal’s Report that highlights the year-round academic, co-curricular, sports activities and achievements, accolades, and All India Senior School Certificate Examination Result, IGCSE Result and comparative result analysis. Leaflet for the annual play that gives an overview about the theme, structure, form and the plot, cast and credits. Leaflet providing the information about the theme of the school exhibitions and guiding map to the different exhibits. Pamphlet containing information about the Programme and Events to be held during the Annual Athletic Meet. School Orchestra and Choir Ensemble brochure containing Music Director’s note and the names of student musicians and singers. Leaflet published before the Final and Closing Ceremony of the Mayoor Challenge Cup Cricket Tournament (Twenty 20) briefing the guests on the participating teams and results. Leaflet published before the Final and Closing Ceremony of the Mayoor Basketball Tournament briefing the guests on the participating teams and results.